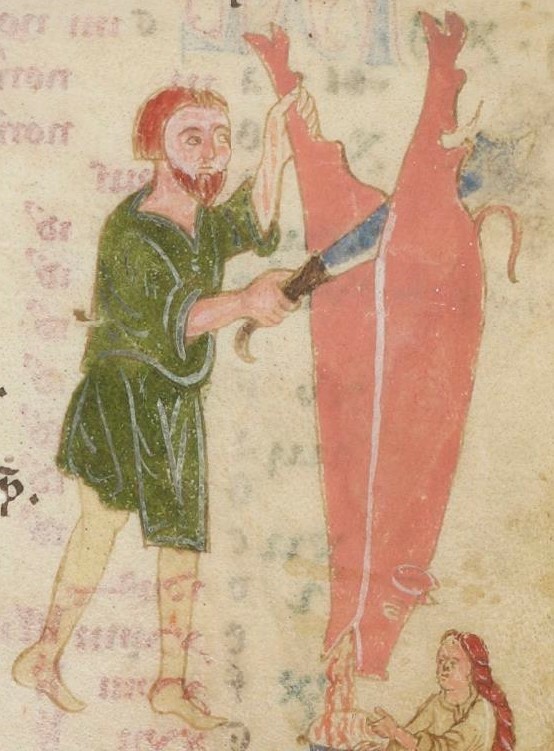 Forum Index > Historical Arms Talk > Medieval butcher "machete". 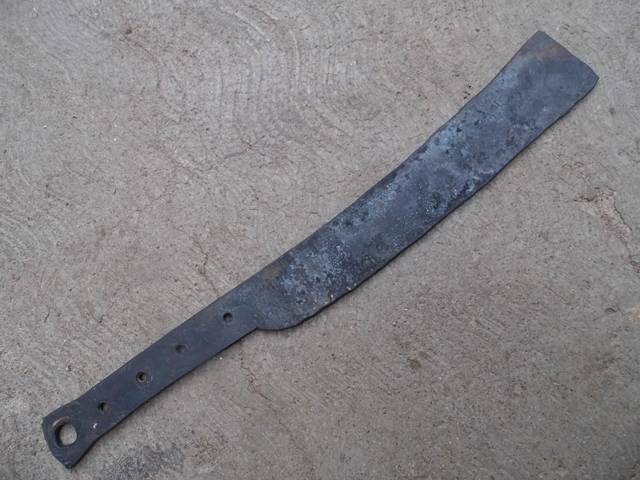 Posted: Mon 14 Aug, 2017 11:25 pm Post subject: Medieval butcher "machete". 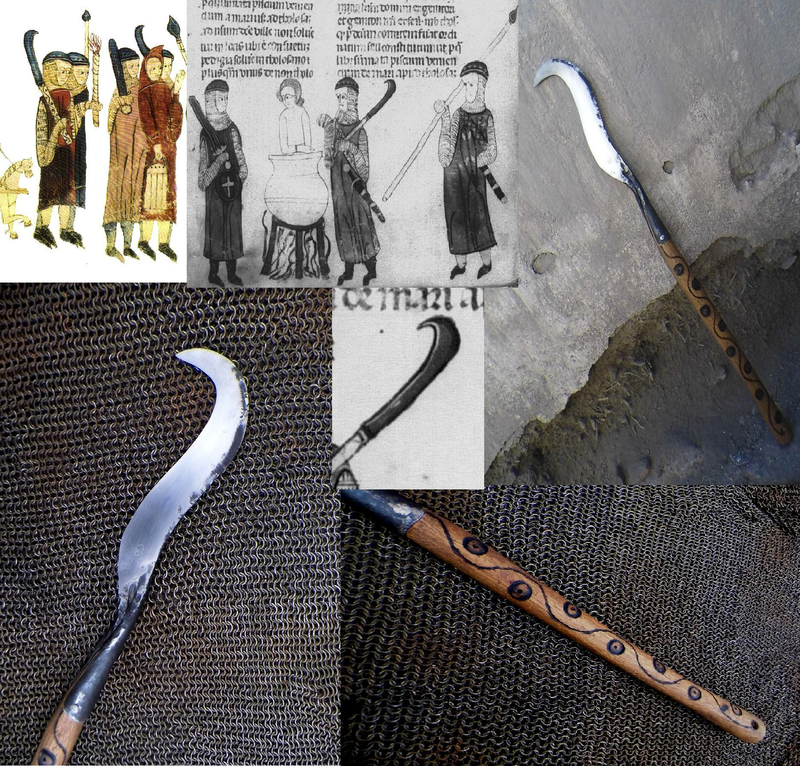 recently i forged a "machete" inspired on butcher blades in Tacuinum Sanitatis Lat.9333, a famous Medieval book of health. 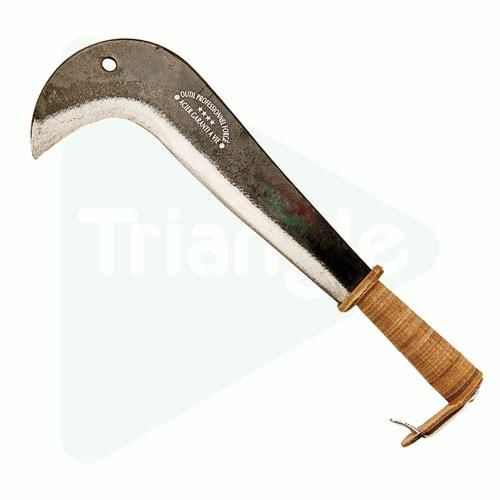 Looks like a simple blade with wooden scales, four rivers and a integral hoop. is a 51 centimeters long, 5 millimeter thickness on start of the blade and thinning to the end. 760 of weight. The result looks very neat! As I'm interested in kitchen knives too, this kind of creation naturally catches my attention. The blade is quite nice, I love it. What is its length? I don't feel so much affinity with the handle (it is too long for me), but it sure matches well with the blade. Very nicely done. I like to see people making something a little different than the norm. Looks like it could work well with chopping anything from meat to brush to arms (if used like it was historically intended). The blade length is 33.5 centimeters. There are several pictures of similar tools in the book, I will try to forge other interpretations, I like them very much these tools. Looks like a weapon, i never see before. The handle remember me the famous "Maciejowski Chopper". It's a very interesting design, I'll keep it for the future. 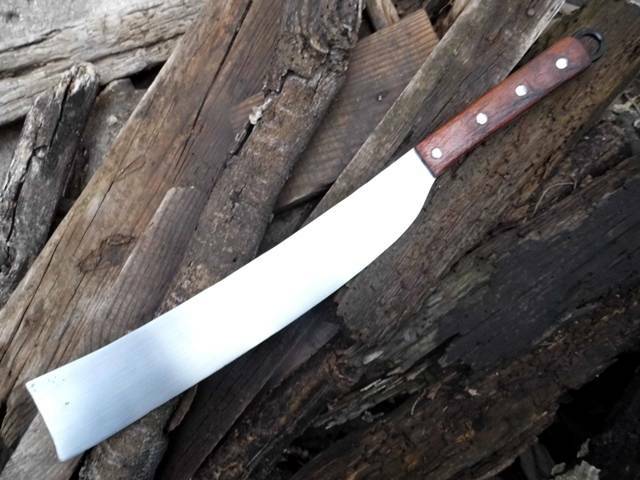 It's almost certainly a cleaver, rather than a purposed weapon, as it's being used to butcher a pig. 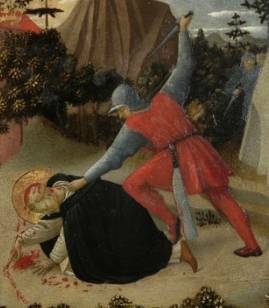 That said, I suspect many of these big knives saw double duty in time of need, like your Fra Angelico painting indicates. My mother used to utilize her Old Hickory kitchen butcher knife in the yard with some frequency to clear small saplings and roots. 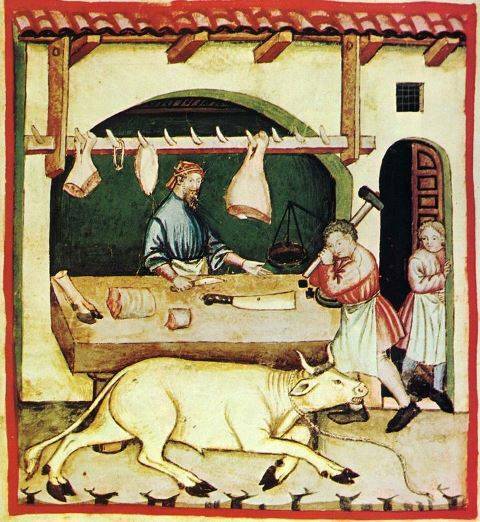 Do we really know that most of the "choppers" in the Maciejowski Bible weren't, in fact, tools for the city militia's common trades - thatching knives, butcher's cleavers, etc.? You cut the hooked tip and you have the very same shape. 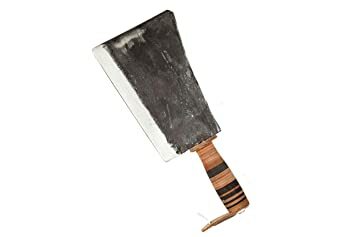 I guess you could efficiently use it simultaneouslly as a bushcraft tool, as a kitchen cleaver... and it would be a nice weapon too. 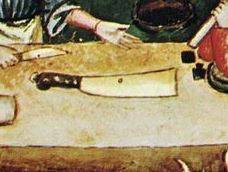 Villard de Honnecourt's knife in his self portrait is another plain design. I said it because the silhouette seemed to me something uncommon in a tool, but you're right. For a second I thought it perfect on a battle, like the Maciejowski chopper, even that we are not sure. Thanks for the new cleaver example. I've always had a doubt about the umbrella handles like these great examples or Maciejowski cases, never seen rivets considering the high level of detail, I don't know if they had scales... although I suppose it is the most likely. 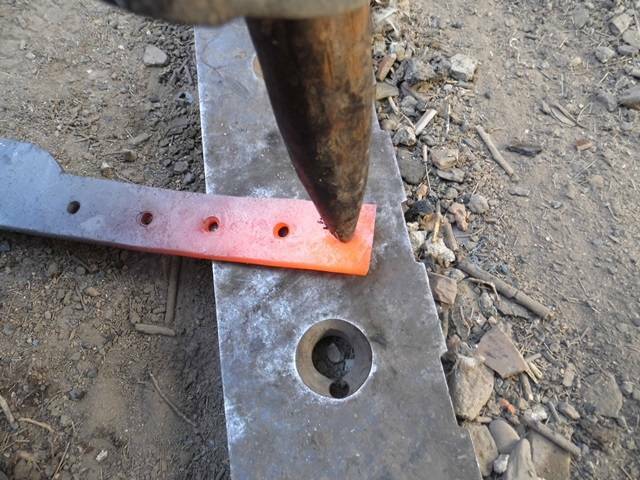 I commend you for punching holes, not drilling them. You can find it here, here, here and here, and other variations in the book. And this other one. Both are designs for northern Italy. I guess that the same general shape would not have changed through centuries. I am extremely sceptical of scales on Maciejowski bible weapons. the term I tend to use for them is "proto-messer", in that they are a knife-like construction, analogous to that of civilian cutlery. civilian cutlery at that date isnt scale tang, its whittle tang. So I believe that these weapons, going by the depictions, are a whittle tang, no pins, instead held with cutlers' resin. 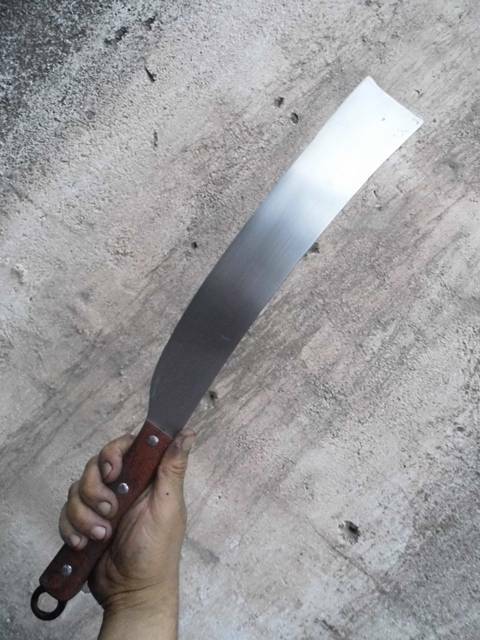 The word "machete" was used in Castille at least since 1480's, and about little more than a decade later probably were several different types, as in the first shippings to La Hispaniola were included more than a hundred "machetes vitorianos" (machetes from Vitoria, also the place of the oldest mention I know of). Probably they were straight sided, with one edge and no handguard, perhaps more used as tool than a weapon. Now, let's take a look at this. It was my grandmother cleaver, and very highly possibly my great-grandmother one too. 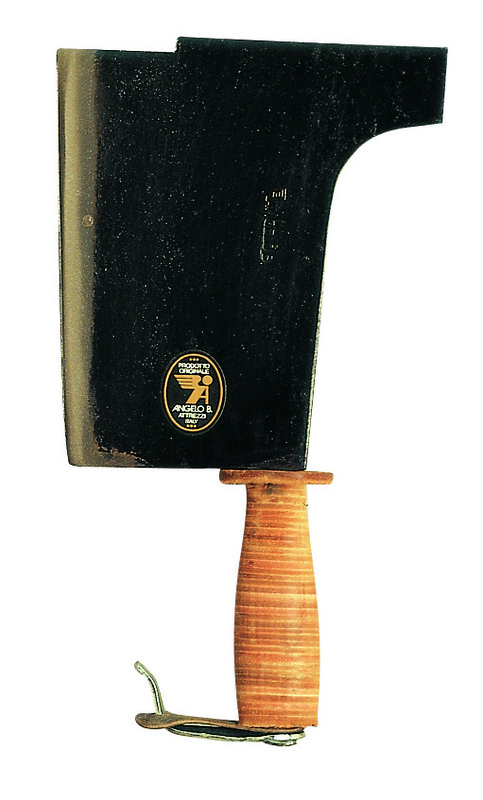 It is quite the same shape, except for the classic "french handle" in place of the traditionnal italian one. The dimensions of the blade and weight, and even the blade thickness seem to match with, for example, the Brescia Manaresso. 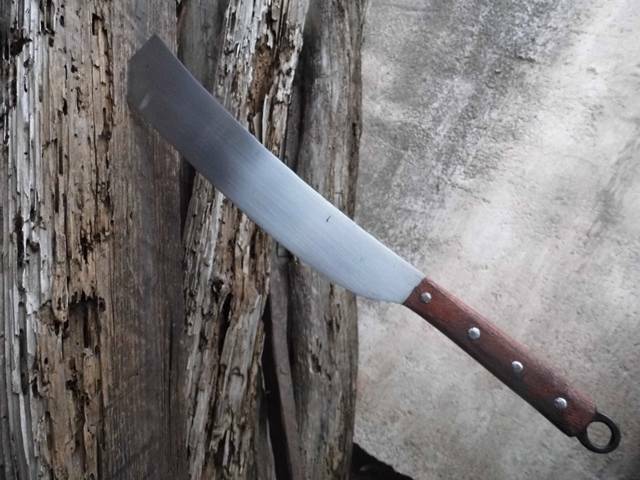 It is freaking huge, and the blade and edge are so tough that I'm sure that it can be used as a billhook if you need. I guess that back in the days in the coutryside, and perhaps even today, many objects were not so specialized and could be used at various tasks.